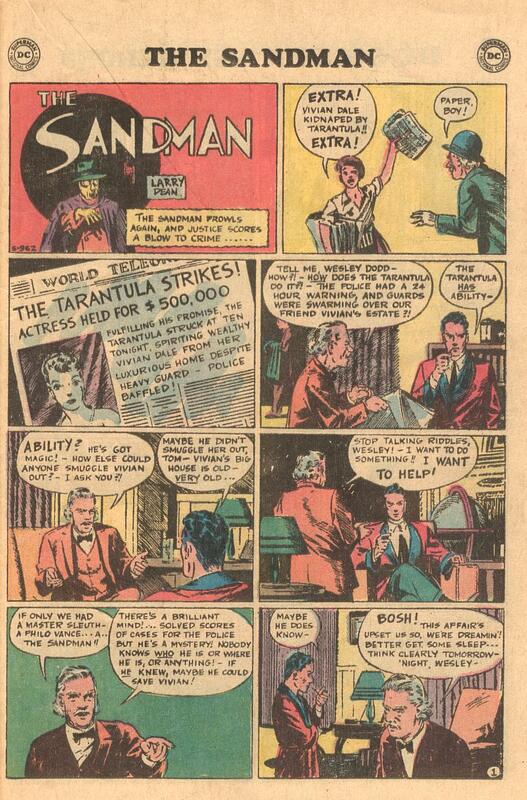 Young Groove flipped for this reprint of the first appearance of the original Sandman from Adventure Comics #40 as it appeared in Justice League of America #93 (September 1971). 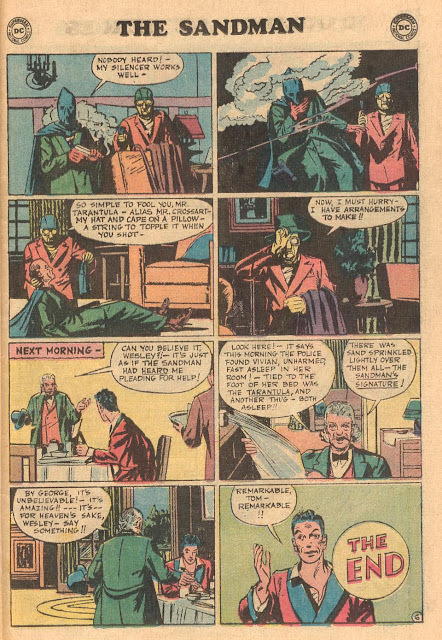 That suit/gas mask/fedora/cape combo looked so cool, and Bert Christman's (under the pen name of Larry Dean) art was so moody, man, it just grabbed me! Bet you'll dig it, too! 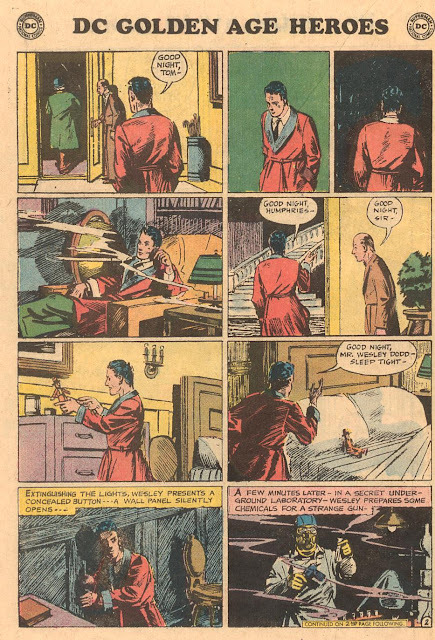 Written by Christman and plotted by Gardner Fox, here's "The Tarantula Strikes!" I always loved this original version of the Sandman the best! DC should had brought him back in his own monthly title. In the 70's or even early 80's. Written by Marv wolfman, drawn by the late great Gene Colan & inked by Tom Palmer. 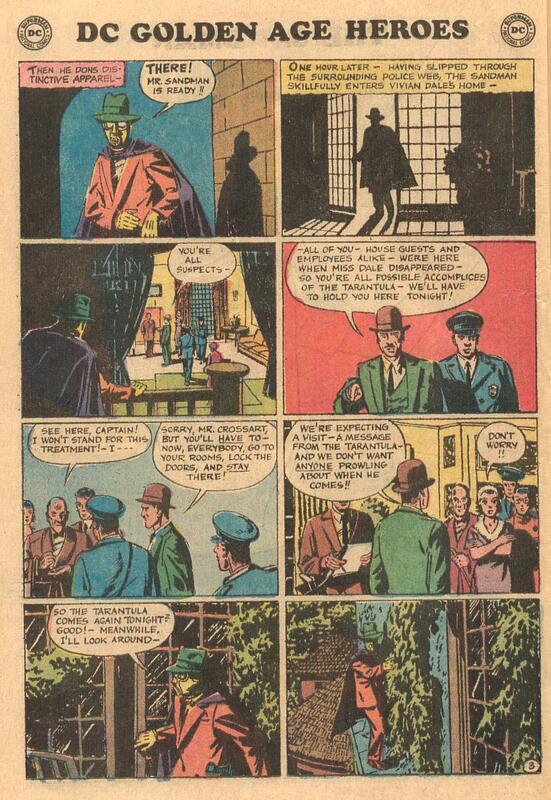 Or had Michael Golden or the late great Marshal Rogers draw it. Thanks! 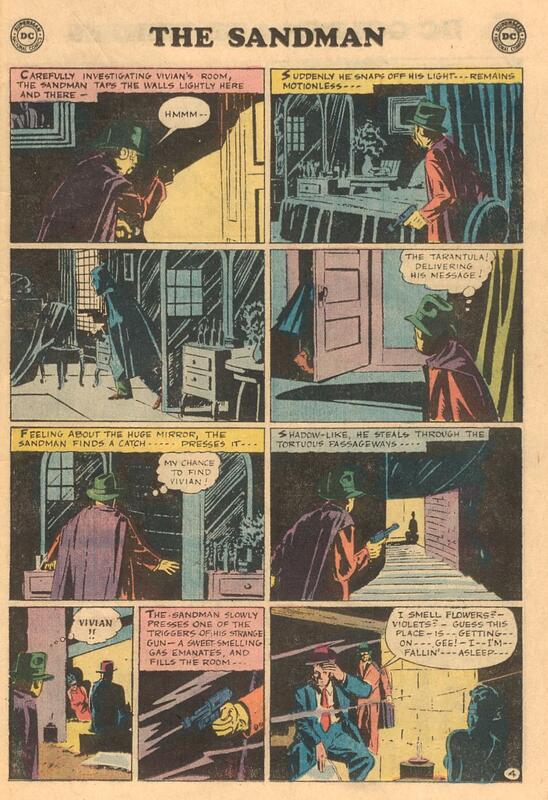 I really love the Golden Age Sandman, complete with fedora and cape. Hated the later, Gaiman version -- give me some pulpy goodness anytime. The Sandman always seemed to me to be a bridge between the "mystery men" heroes, like the Shadow and the Spider, and the "long-john" types, like Batman and Captain America. Loved this story. Thank you, your Grooviness!! I'm with Bob & Alan!! 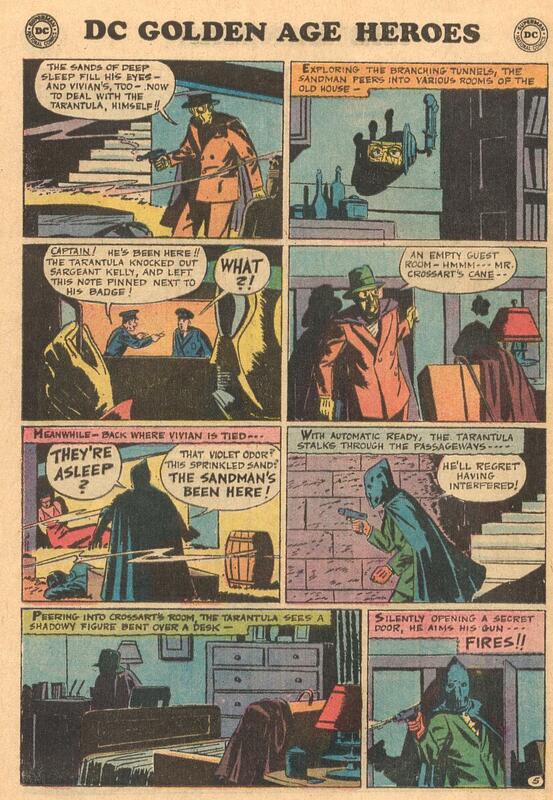 Wish I could get my hands on the Golden Age Sandman Archives. Such a rare volume!